Have you ever found yourself wandering around a modern art gallery, past canvases covered with seemingly random splashes of paint, and wondered, “What am I supposed to be getting from this?” Neuroscientist Eric Kandel is here to reinforce your uncertainty. 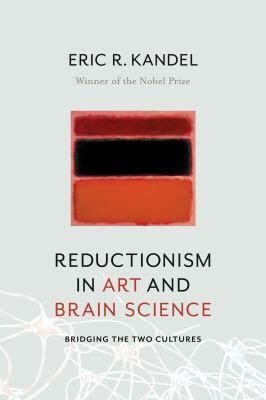 The Nobel Prize-winning biologist suggests, in his thought-provoking book “Reductionism in Art and Brain Science,” that the answer depends on your unique brain circuitry. Kandel explains, in an understandably (if not thrillingly) academic tone, that modern reductionist brain science can provide clues to what makes abstract art pleasing. At the root of these clues is the idea that the more ambiguity an image provides, the more creative work the beholder must do in perceiving it. The way we do this creative work depends on the countless neural network connections that each of us has selectively strengthened over the course of our lives through the intense mental exercise of experiencing the world. For the art enthusiast, this book might serve as a tidy scientific validation of what she holds to be true about the power of art. For the art inept, it might serve as a sort of “Looking at Abstract Art for Dummies, Part I” manual—ignoring, of course, that no real dummy I can think of would ever be drawn to this sort of book. I say Part I here because the art dummy will inevitably be left with more questions than answers, especially if she is used to thinking like a scientist. Part II, however, will have to await decades more of neuroscientific research. And perhaps that is part of Kandel’s purpose in writing the book. He has begun construction on a bridge between art and science, working from the shoreline out on either side but leaving a significant gap in the middle. Now he leaves it to younger artists and scientists to work on completing that bridge, though I suspect that crossing it may never be possible for those afraid to leap across the gap. As any good academic would, Kandel states his thesis at the start of the book, arguing that “by examining the perception of art as an interpretation of sensory experience, scientific analysis can, in principle, describe how the brain perceives and responds to a work of art, and give us insights into how this experience transcends our everyday perception of the world around us.” He then spends some time giving us necessary background information about the brain. We learn about how the brain works at different levels to resolve the inherent ambiguity of all visual perception, and the roles that learning and memory play in this resolution. You could be completely uninterested in art and this section would still be worth reading on its own if you are even remotely introspective. As the art begins creeping toward center stage, however, we begin to see that Kandel sometimes paints reductionism with a confusingly broad brush. The first time we encounter a specific reference to art, it occurs during a discussion of how the sea snail can be used as a reductive model to study the interactions between neurons, since the snail has so few neurons that they can be mapped individually. Presumably wanting to show us other possible roles for snails in reductionism, Kandel awkwardly shoves in an image of Henri Matisse’s The Snail, which is just a jumbled collection of differently colored squares of paper. Having used the sea snail for his own Nobel-winning discoveries, the author goes on to joke that Matisse also appreciated “the advantages of the snail for a reductionist analysis,” as if the artist’s purposes were remotely similar to that of the scientist. As with most science jokes, this one relies on privileged knowledge; for those of us still trying to grasp what reductionism means in science and in art, it is simply frustrating. At rare moments like this, Kandel does a disservice to what is actually a useful unifying device when he applies it with precision. Following his slightly elusive mini-course in brain science, however, Kandel offers an effortless and cohesive odyssey through the evolution of progressively abstracted painting. A survey of J.M.W. Turner’s work in the early 1800s captures the inception of expressionist painting, which was the first foray beyond the goal of realistic depiction. Working through Claude Monet to Wassily Kandinsky, we see (arguably) the first truly abstract painting, a chaotic scene of bright color and harsh lines that bears no resemblance to anything that exists outside the canvas. Once painting was totally liberated from the job of literal representation, Kandel argues, artists were able to start experimenting with the fundamental nature of visual perception. How did they do this? The answer in this book is always (and sometimes excessively): reductionism. Despite those excesses, Kandel spends most of the book in an engaging and cogent discussion of the “radical reductionist” painters of the New York School, who created abstraction by reducing images to their essential elements of form, line, color, and light. After establishing the artistic context for the creation of such images, Kandel begins to make suggestions about how our brains interpret these elements. Piet Mondrian, for example, pioneered radical reductionism with his focus on the element of line, which we see in entrancing networks in his paintings. Kandel uses this opportunity to explain that the brain perceives lines at different angles with different sets of neurons, and uses them as edges to form shapes, which our memory can either recognize or not. Kandel’s often poetic discussion of artists’ work provides an excellent tool for introducing the nuances of visual perception that scientists have discovered. The problem is that when he applies the tool in the other direction, to make science serve our understanding of art, it works only in a general sense. This point is clearest in Kandel’s chapter about the color-field painters. The science he relates about the perception of color makes clear that it is indeed a perfect medium for art, being both emotionally significant and perceptually subjective. The problem, if you ask me, is that the science fails to explain why Mark Rothko’s solid black canvas is powerful while a square of purple construction paper is not. And that is both intellectually dissatisfying and intriguing. Until the science can explain why one reductionist artwork fails while another one succeeds, the relationship between art and science will be merely suggestive, not revelatory. Kandel, however, does not intend to provide revelation. He means to open a dialogue. It is possible that we might one day “be able to explain how a few expert brushstrokes can create a portrait of an individual that is far more compelling than a person in the flesh,” but the science has a long way to go. For now, we can only revel in the tantalizing possibility of an explanation as we work towards its discovery. Marie Sweet is a PhD candidate in molecular biophysics at the New York University School of Medicine.